While I’m not even close to being a linear thinker, I do believe stories are best when started at the beginning. So here it goes. Todd and I stopped at the local Wawa on our way to the Philadelphia airport for gas and coffee. In that order. Gas for the car. Coffee for me. I don’t think we’d even made it to the freeway when I’d spilt coffee on my pristine white tee-shirt. I’ve only ever flown Delta out of Philly and the Delta terminal is horrible. Old, dirty, nothing good to eat… This time, however, I flew out of the US Airways terminal and it was much better. So much better that I wish I would have foregone the Wawa coffee. Next time I’ll know better. 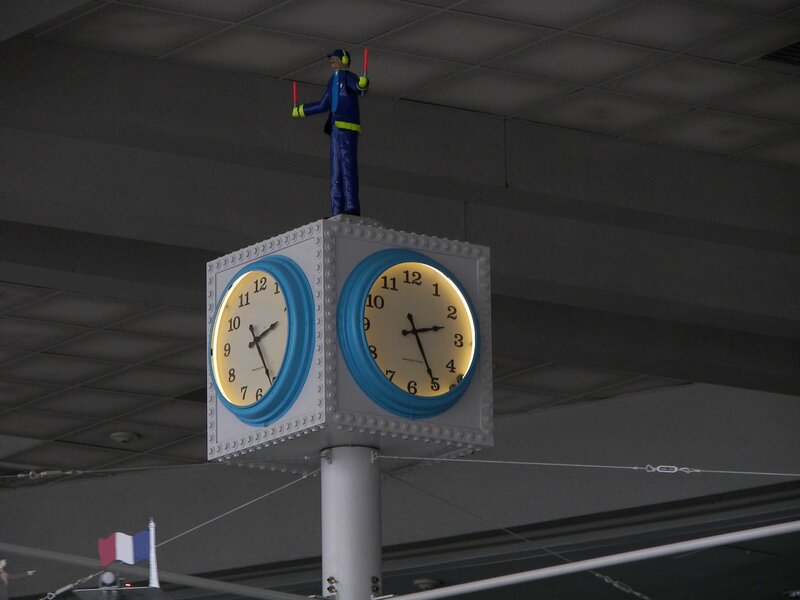 I had a two-and-a-half hour layover in Charlotte, North Carolina. 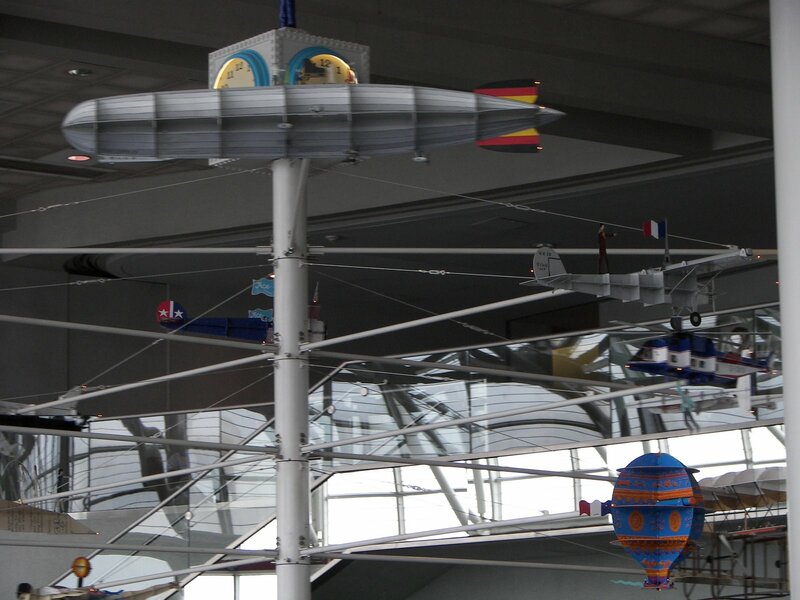 Now that’s a nice airport! Just look. 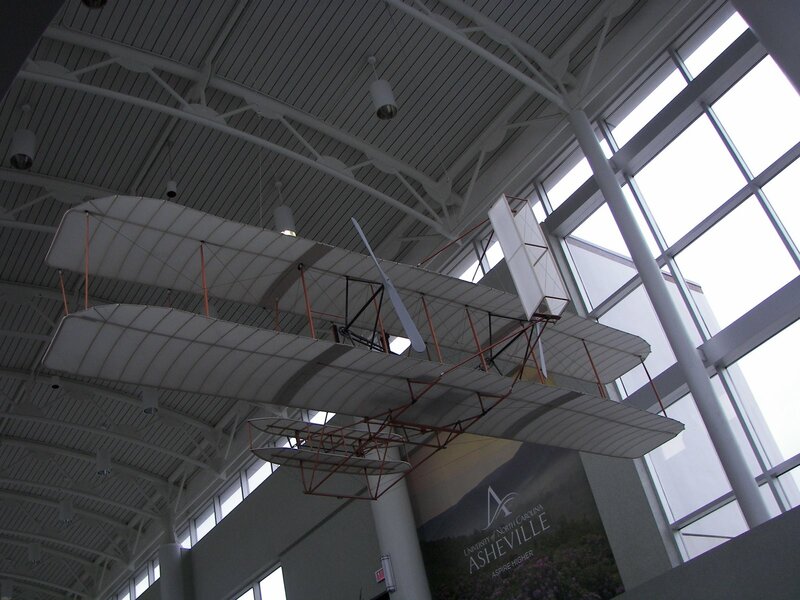 A pretty Wright Brothersesque Biplane. 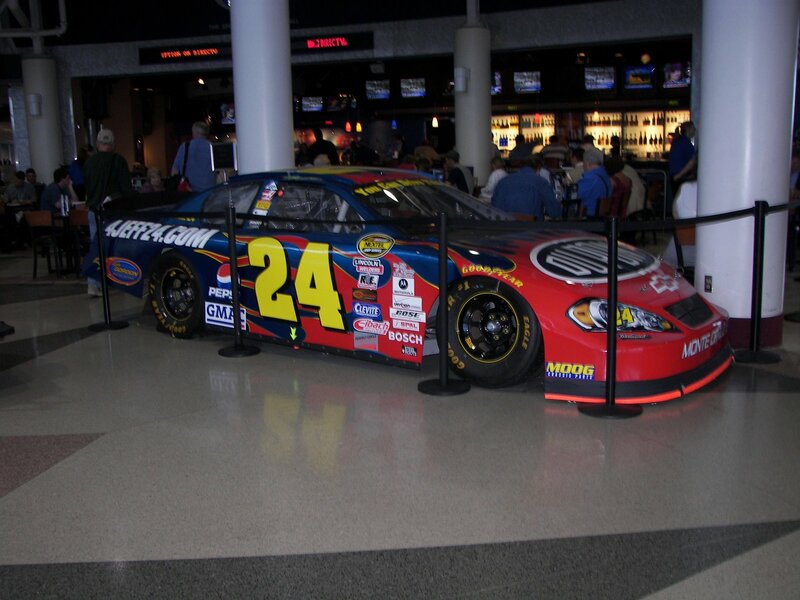 And because Brian Jones (our pastor) hates is such a fan of NASCAR I snapped these shots just for him. 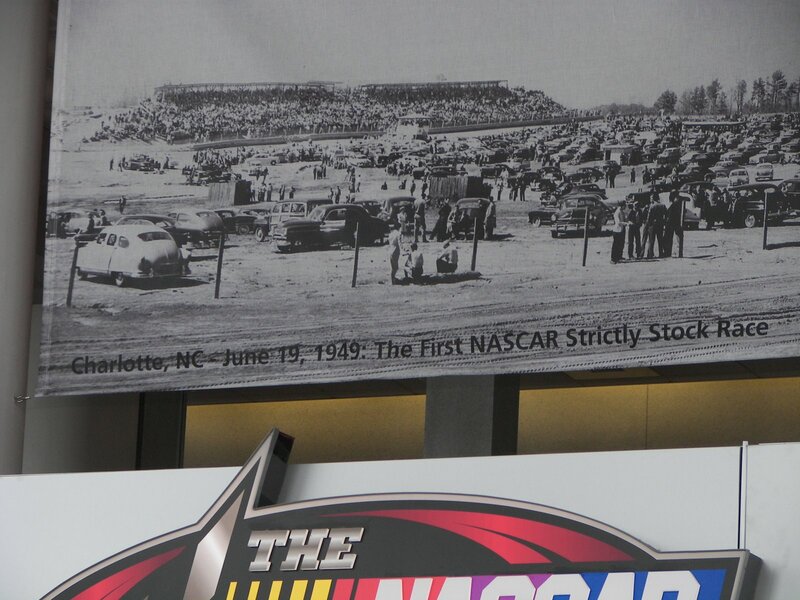 The sign says Charlotte, NC – June 19, 1949: The first NASCAR strictly stock race. 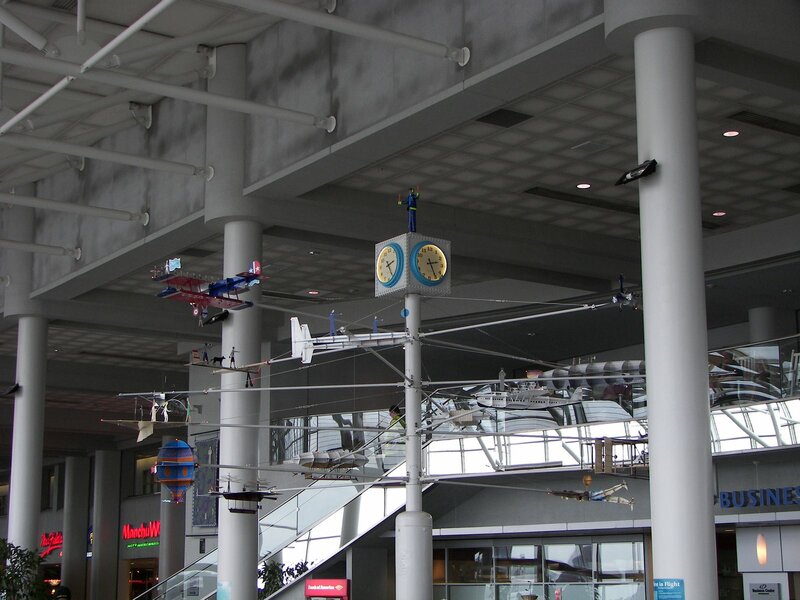 Who knew an airport could be so edumacational? I arrived at the Little Rock airport about 30 minutes before Michele did. By then it was time for dinner so we ate at Ruby Tuesday just a few minutes from my parents’ house. We then proceeded to stay up way too late. We all woke up. And this would be where things started going downhill. 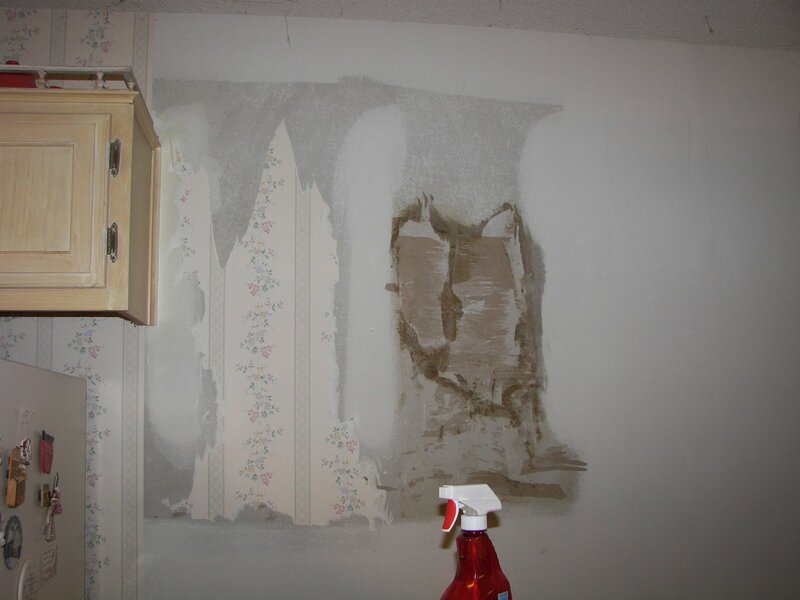 Do you remember the following paragraph when I was talking about removing wallpaper? Bad idea. 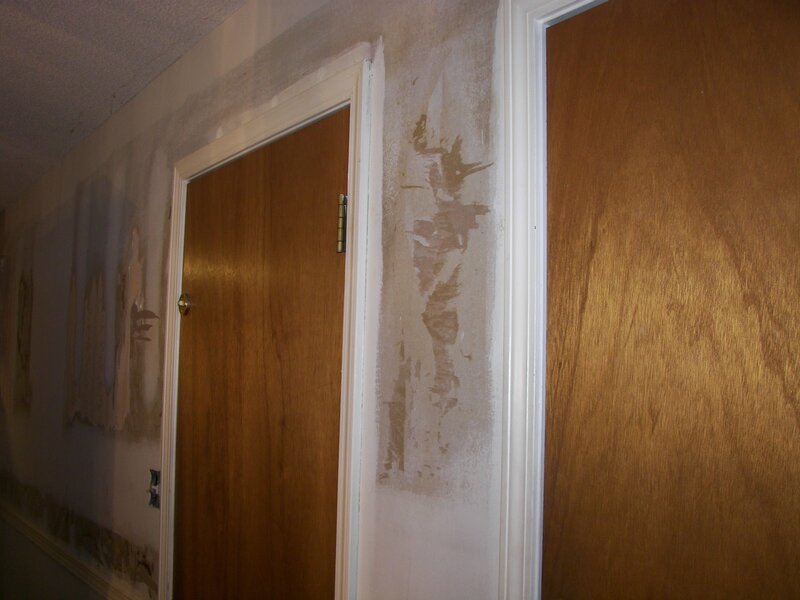 It was put directly onto the wallboard except for a few places where they had Spackled something – the spots we tried. So we made three times more work for ourselves than we would have had we just primed the wallpaper first and then painted. You did remember it? Why didn’t you remind me!?!? It was a major case of deja vu, except Rhonda wasn’t there to relieve some of the blame! Oh, it all started out okay. In fact it was pretty fun. 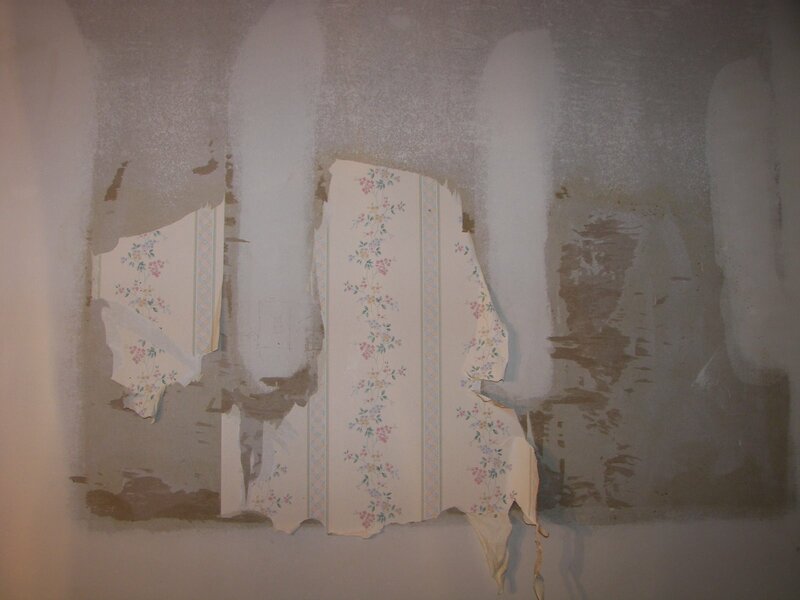 Pulling off wallpaper and watching it come away without a hitch. And then… and then… I can’t even bring myself to say it. Just see for yourselves. The brown is where the wallboard ripped. This is where I was sweating profusely, thinking what have I done? Surely they’re going to disown me after this! While on the outside I was reassuring them that I knew what I was doing and it would all turn out fine. My mother even told Todd that if the kitchen wasn’t finished the following Tuesday she was taking my ticket and flying to Philly until I got it fixed. I think he was kind of excited because he said, “Great! Then we’ll get dinners cooked and a clean house and washed and ironed clothes…” and I can’t remember the long list. That’s right, folks. 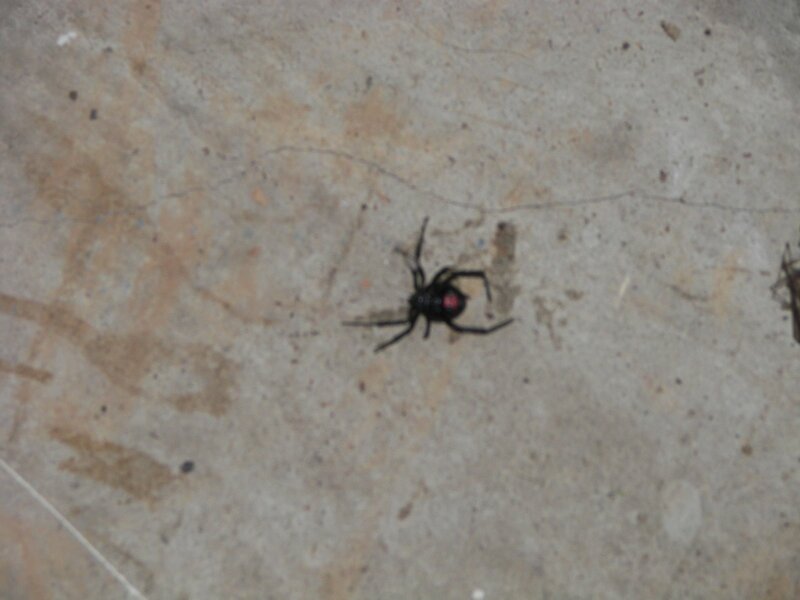 It was a bonafied Black Widow. Between the shock of finding a lethal arachnid only a door away from the kitchen and the fumes from the aerosol poison I wasn’t thinking clearly and, ergo, the kitchen wallpaper debacle. Terri wasn’t coming in until the next day and when she called, my mom told her what I did. She said, “Doesn’t she read her own blog?” Shelli hadn’t read it and I was all, “What? What did I write?” So Michele and I went to read it and when we got to that paragraph there were serious tears and crossed legs and red faces and trouble breathing. That evening I went to dinner with three of my good friends, Teresa, Rhonda and Beth. Rhonda couldn’t believe what I’d done because, well, I’m pretty sure I swore I’d never do it again after the office fiasco. But my memory is faulty so… Anyway, it was fun catching up. The waitress took our picture and I’d thought about posting it, but I haven’t figured out Photoshop/air brushing yet so no such luck. Stay tuned for the next riveting installment of My Week In Arkansas. heh, heh, heh!! If nothing else in this world, I love sibling-stories!! Absolutely love them!! Can’t wait for more!! oh this whole story is so so so great. I am sorry about the wallpaper fiasco, but I really am enjoying reading about it, if that’s any consilation.and, while i’m being selfish, all your talk about airports made me even MORE anxious for October to come! I CAN’T WAIT! serious tears and crossed legs and red faces and trouble breathingMe too! Me too! Gotta GO! That’s a ginormous spider!!!! The death by Raid is my favorite way of killing any sort of multi-legged insect. You are too awesome for words. I love your story, and I love how you can rationalize so well that you could probably make anything true (just like me). I can’t wait to read the rest! Ohhh…. I so don’t want to you be you.. then. lol. Too much work! There is nothing like lauhging so hard you have to cross your legs. lol! Painful. I am the one among my siblings that gets us into messes. Oy. Love the wallpaper story…holding my breath for the next edition!!! And for the spider…better a spider than a snake. In my experience sunny climes tend to produce snakes at inappropriate times!!! I commented on this post when I read it the day you posted it, but must have not put in my right password or something, because I don’t see it here. =(Probably because I was just coming out of my hysterics with our own black widow story, only to see the picture of yours! Eeek!Sounds like you had a great time with your sisters and friends! You know it’s a good time when you have to cross your legs when you’re laughing. I just found your blog, you have a really neat site.